The postcard this week is from Kirseberg in the east of Malmö, on the hill where the witches were burnt. I always sort of thought this was were there were gallows but during my research for a post on Weekly Weather last year I came to realize that the gallows were either close to the beach in medieval times and later closer to the city. Not much on Wikipedia or internet on the witch burnings in Malmö, though there is quite a lot about the other witch burnings in Denmark and the witch hunts in Sweden. Malmö belonged to Denmark until 1658 so it may be that those that write on Wikipedia aren´t interested in something they don´t feel is proper Danish history or proper Swedish history. Anyhow I got a book from the library by a local historian written in 1915 and had a peek in it. The witches in Denmark were not executed like in Sweden but burnt. There was a big fire lit on Kirseberg and the witch was tied to a ladder and thrown into the fire. The Danish king Christian IV of Denmark encouraged witch hunts and the burning of witches. Witch hunts were earlier in Denmark than in the other Scandinavian countries beginning in the sixteenth century and ending in the late seventeenth century with a total of 1000 witches killed. In Norway the witch hunts take place between 1610 and 1690 and in Sweden between 1668 – 1676. Sweden had 300 killed witches and Finland 115. As Finland then was a part of Sweden this means that was 415 people killed in these countries. Norway has 300 killed witches. 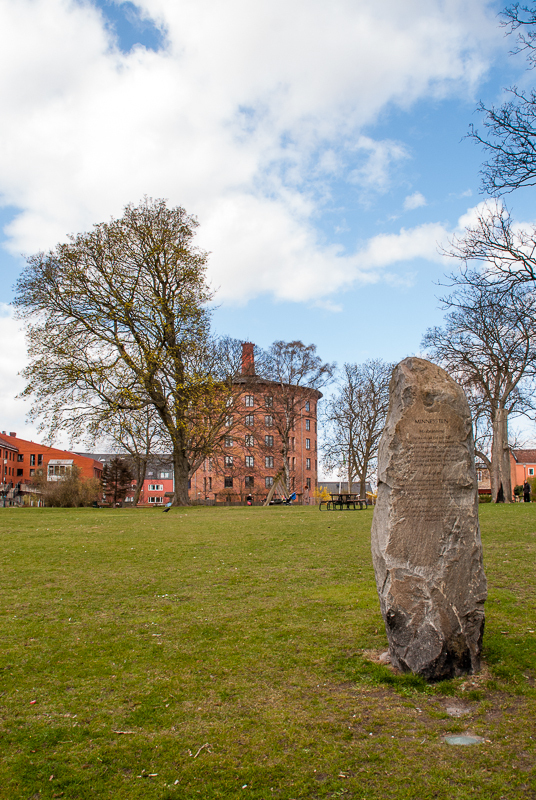 The memorial stone was raised in 1997 to the memory of the witches that died on this place during the years 1543 – 1663, to the memory of the poor soldiers that was buried here 1809 – 1870 and to the memory of the prisoners that died in the prison on Malmöhus castle 1827 – 1891. The memorial stone ends with a sentence that wants us to think about the outcasts of our own times. And I think it is quite important today with all that happens around us. I have translated the ending sentence on the memorial stone as: “This stone honors all the people that was excluded from the community of their time and encourages the future to reflect on their fate”. 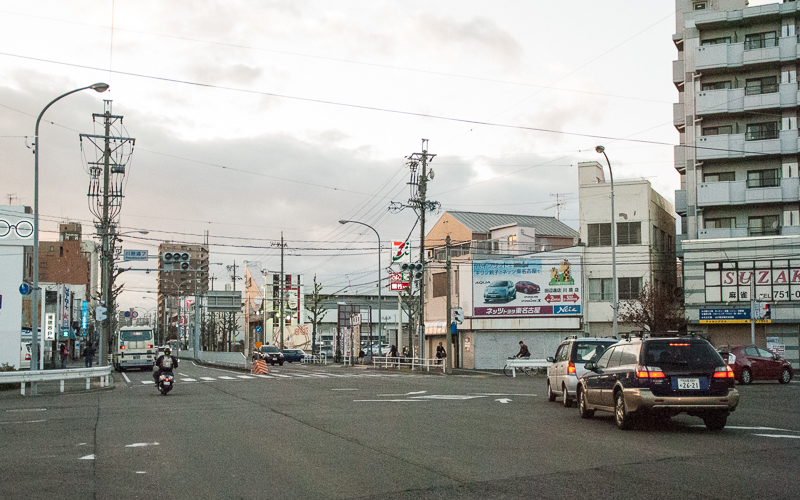 The tower in the background is an old water tower converted to an apartment building. It was built in 1879 but it was soon discovered that it was inadequate for the needs of Malmö and converted to apartments. The name Kirseberg means Cherry Hill. This picture was originally published on my other blog Weekly Weather. I am also sharing this post with The Daily Post’s discover challenge: Mixing Media.